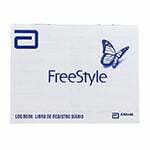 What Are the Benefits of Recording in a Diabetes Log Book? Diabetes can lead to health complications including neuropathy, retinopathy, nephropathy as well as heart disease and stroke if blood glucose is not well regulated. By monitoring blood sugar numbers and recording them in a diabetes log book, based on you and your health care team’s recommendations, you may be able to achieve better glucose control. 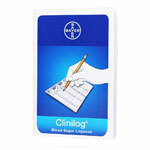 The diabetic log book information helps your physician make informed decisions concerning your current treatment plan. Your physician will be able to identify patterns in your glucose numbers and may make changes to the amount or types of medications you are taking. 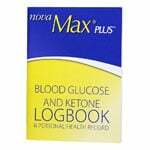 You can use a simple log book just to document your daily blood sugar levels. 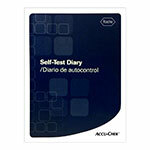 Simple documentation is best if your blood sugars are controlled and you are being treated only by diet and exercise. Simple documentation helps you and your physician understand how your blood sugar numbers change at different times of the day. Common times to test blood sugars range from fasting (no food in the morning), 1-2 hours after meals, before or after exercise, when feeling dizzy, hungry or light headed, when feeling overly thirsty or hungry or prior to sleep. You may even need to test at 2-3am in the morning if you wake up with high blood sugar numbers for no reason. You can learn a lot about carbohydrates and how they impact your blood sugars since all carbohydrates eventually turn to sugar. Your dietitian can obtain information about carbohydrate intake by looking at your log book. By testing prior to your meal and then 2 hours after the meal, you and your physician will establish what numbers are best for your diabetes management. By documenting your blood glucose levels, your health care provider can create a better treatment plan based on daily highs and lows. Your A1C will give the physician great information over the 2-3-month time but daily readings give excellent insight into how your medications work, if you need a change in your medications/and or dosage, if exercise is lowering or raising your numbers, if you experience lows or highs at unexpected, random times. Keeping track of daily blood sugar trends is critical to the developing baby when you have gestational diabetes. You will be required to test fasting in the morning and after meals. Your obstetrician will decide upon medication need or changes such as insulin based on your blood glucose level documentation. Your obstetrician will also advise you as to what blood glucose numbers to look for daily. You may become more goal oriented by using daily record keeping. Your motivation may change when you understand how, food and exercise impact your blood sugars. Your attitude towards diabetes care and what it entails may also change. Why Should You Bother to Record Blood Glucose Levels? It is important to record your blood glucose levels and use the logbook as a tool to help you and your physician make more informed decisions about your diabetes management plan. Patterns of blood sugar numbers can be established with proper recording and ultimately help establish your future treatment goals. By knowing and recording your numbers, you can change your eating choices and portion sizes as well as exercise plan and medications. Documentation may help you make improved short-term choices which may ultimately reduce the complications of diabetes. 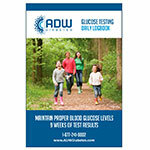 Blood glucose patterns generally emerge when documentation becomes consistent. A common recommendation for blood glucose testing is called "pairing combination." This means by testing in pairs, you and your physician will receive an abundance of information. For example, test prior to dinner and then two hours after your first bite of dinner to see which foods and food amounts possibly cause blood sugar spikes and which do not. You can try this before and after any meal. Your health care team will be able to make numerous suggestions about your diabetes management plan from pairing. 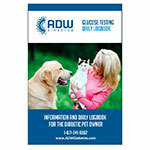 Another pairing would be to test before and after exercise as this may alert you to possible hypoglycemia. Testing at different times and documenting blood glucose readings not only gives your physician more pertinent information, but it also helps you to achieve your own diabetes goals.